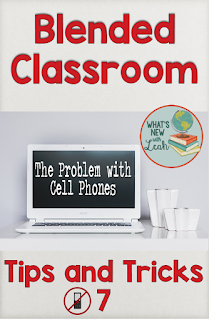 Throughout this school year, as I discover things that I think are really cool or useful for the blended classroom (learn more about blended learning HERE), I'll write all about them. They may be things everybody else already knows, but they are novel to me, so I'm pretty excited. Lewis and Clark wrote all about things that were old hat to Sacajawea, but they wrote about them all the same. So I'll be Clark here (Lewis, tragically, met his demise in a violent fashion--he's not one I want to identify with). 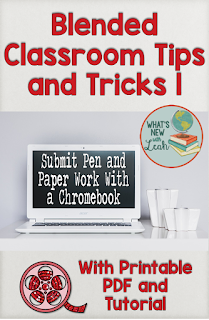 Last week, I wrote about taking pictures of paper assignments and submitting them on a Chromebook (complicated at first and then surprisingly simple). Check it out HERE. 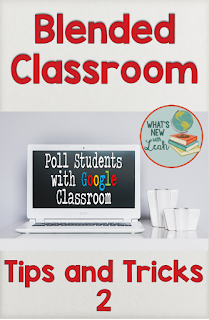 This week, I want to talk about polling in Google Classroom. I love polling my classes. It's a great way to get the students engaged and a sneaky way to have them reflect. They are always interested in the final results. A. Bring the war to a quick end. B. Show the Soviets U.S. strength. C. Punish the Japanese for Pearl Harbor. Back in the day, my students would answer these polls on mini whiteboards. We already had these on our tables, so it was no effort. The results were more of a quick impression or a time-consuming count, though. Afterwards, we would discuss, debate, and compare our responses. Then my school went Bring Your Own Technology, and we used the website polleverywhere.com to get analytics back right away. This is a good program, but it takes some effort to create an account and send the students there. We would discuss, debate, and compare our responses. Now that we're 1:1 and use Chromebooks, my students are in google Classroom everyday. Last week, I "discovered" a feature that would allow me to take a poll right in Google Classroom. No effort. No redirection to a new site. No taking the time to count or just using impressions. It's as simple as that. The students get to see the class results immediately. And afterwards, we still discuss, debate, and compare our responses. 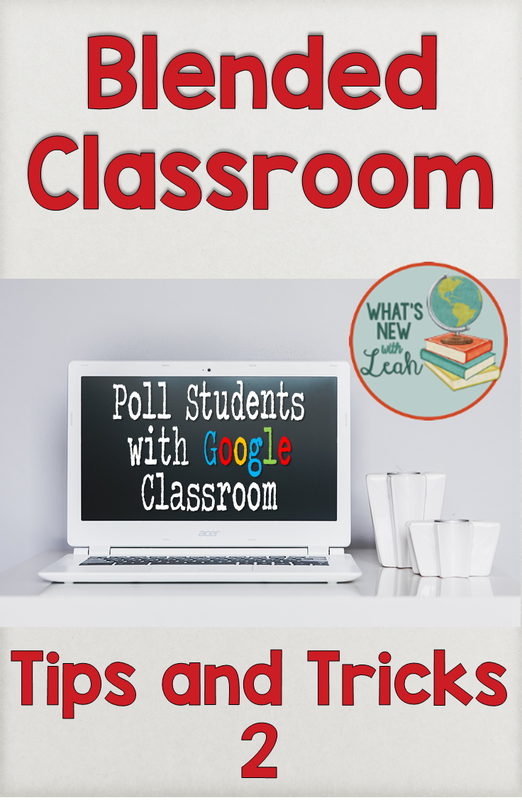 Do you use polls in your classroom? If so, how? If not, do you think you might like to try? Leave a comment below and let me know. And be sure to stick around to check out my other Blended Classroom Tips and Tricks. I LOVE this! Thank you so much for sharing! I haven't ever used this and can't wait to start!!! Such tests can show the real situation in educational environment. It's a great way to get the students engaged and a sneaky way to have them reflect. They are always interested in the final results. According to rating of scribendi.com students who pass such texts are more successful during exams.